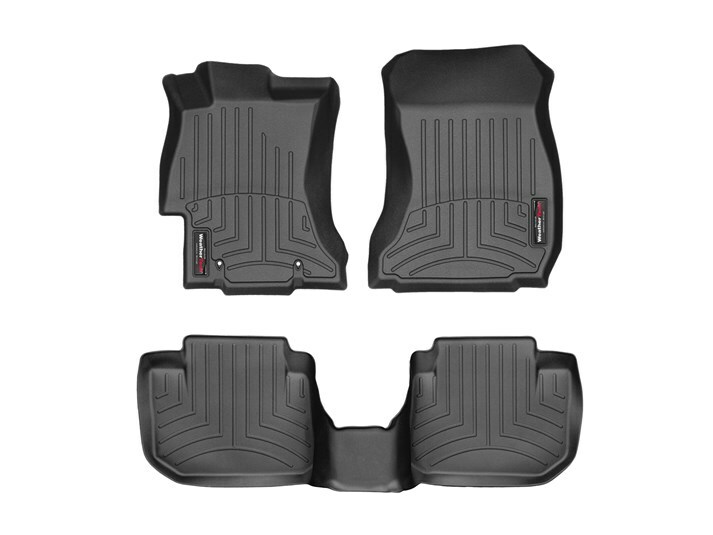 What floor mats would you all recommend for rain/snow? I use the ones I got from the dealer with the car, and they work great. Carpeted ones are still unopened. Weathertech or Husky, I have had both and they both worked great. The factory ones haven't worked for me very well. My 04 WRX Wagon came with OE (weather tech sourced) mats and they were just UGH! thick, clumbersome, in the way. Stumbled onto a legit Weather tech set for a killer price... better... but just "in the way" too thick and everything seemed to spill over. Ordered Husky's since I'd used them in my Harley F150 and both my Mercury Mountaineers.. perfect. Easy in/out and yet covered everything. thin/pliable to dump. I use the husky's during my busy months. then swap to carpet mats when I can. I have the Husky floor liners for my 17 WRX and they work really well. I bought them over the weathertechs because of the additional coverage provided on the driver side footwell. The complete area under the pedals and the dead pedal is covered. Unlike the weathertechs. They're also cheaper and have held up quite well. The only "con" per say is that the gas door release is covered, unless you cut it out. I didn't because I wanted the coverage, so every time I get gas I have to slightly lift that corner of the liner. 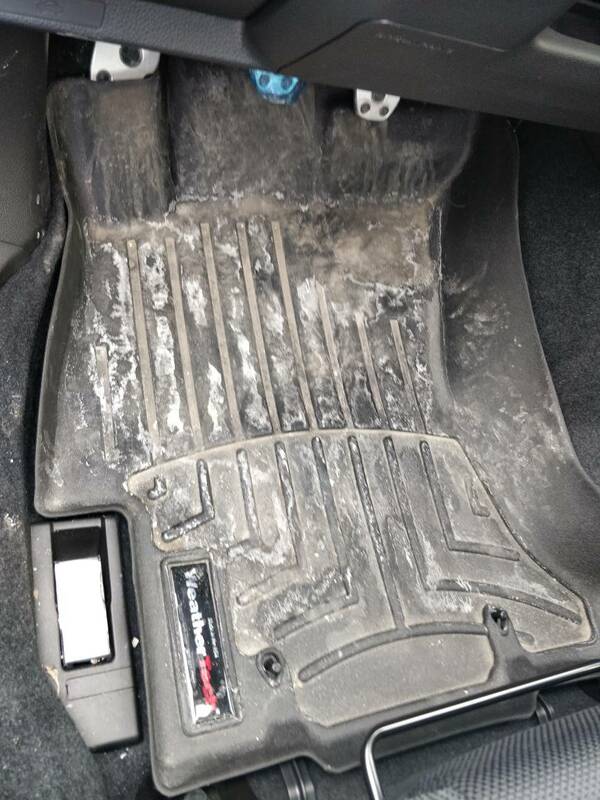 I have weathertech floor liners upfront on my 05 STI, I didn't get the back because I didn't like how it was two separate mats instead of the one piece that they use on later WRX/STI. Does anyone know for sure if the later model one piece liner mat would fit my 05? It sounds crazy but figured I'd ask. Last edited by ProjectN64; 03-11-2019 at 04:32 PM. I can't recommend weather tech anymore. I had them in my 14 WRX and 05 OBXT, but here is how the drivers floor liner fits in a 19 WRX. I'm debating between Husky and WeatherTech at the moment. It honestly looks like the Husky covers more than the WeatherTech for the 2015+ WRX/STi chassis. Can anyone else confirm that? These pictures are what they show on their respective websites when you enter your make and model. They don't look like a generic stock photo, but actually representative of what you get. Honestly It looks to me like the Husky mats could definitely be longer reaching and cover more area, but since theres no scale to the photos its possible that the weathertech are just wider and actually cover more area than the Husky. I've used weathertech on a bunch of cars though and it works pretty perfectly, hard to beat a brand with so much history and recognition. Husky liners have better fit and coverage. 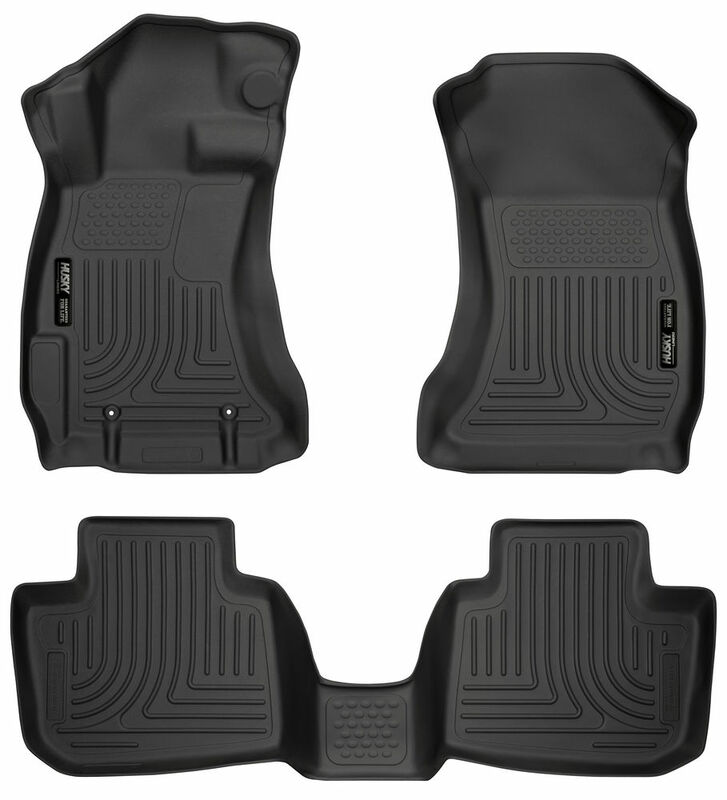 We have Weathertech in our 2015 FXT and 2016 STI and the passenger's side mat does not effectively reach all the way forward, which allows for the mat to slide forward an inch or two, partially defeating the purpose of the mat which is to provide coverage. 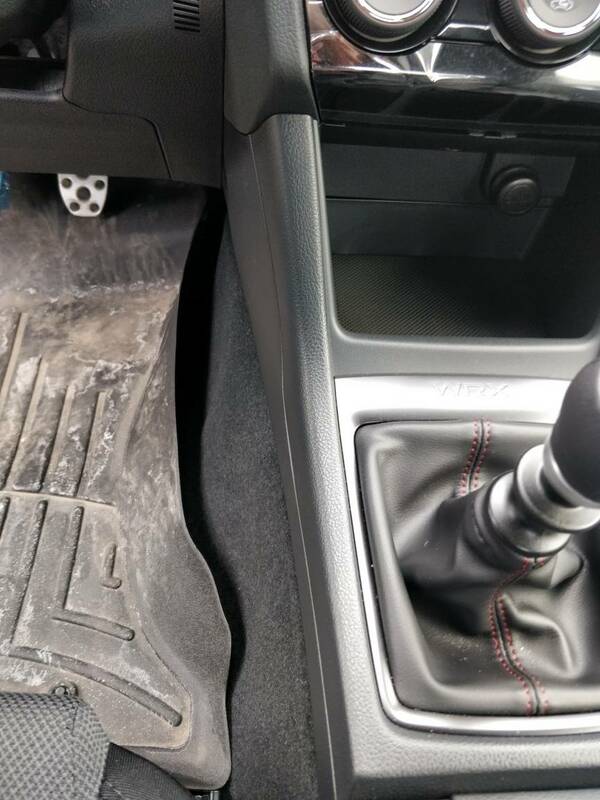 I don't like the driver's side mat in the STI as it does not fully cover the dead-pedal and does not go further up at the front. The FXT mat is the same regarding the dead-pedal, however it has an additional 'lip' that at the front that does extend upwards, thus providing more coverage. I may order a set of the Husky floorliners and see how they are. Weathertech if you can afford it. If not, grab a pair from Walmart and cut to fit. I had to use a heatgun on my STI's WeatherTechs when new to get the walls to expand outward to match the contour of the STI's floor. The Husky liner in my WRX has great coverage, but until I cut a hole for the fuel door lever I was not happy with it as I kept poking my hand with the spikes underneath when I had to lift the corner of the liner to get to the fuel door lever. I took a 1/2" forstner bit, utility knife, and sanding block/sand paper to make a factory-like opening for the fuel door lever. I was not happy with the fitment of weather tech digital fit liners in a 19 wrx at all. Left large gaps around the sides to allow for dirt to get trapped. I just got some 3d maxspyder, but have not yet had a chance to test fit.